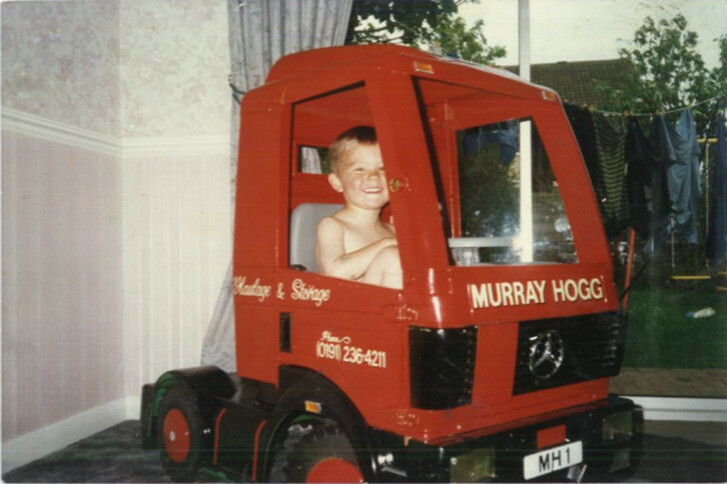 What would one day become Murray Hogg Ltd. began its operations on 1st April 1928. The business was founded by 22 year old Murray Hogg from Cumberland; he was a young man who had until then worked on farms, and in his timber business, working for relatives. The third generation of the Hogg family still run and retain control of the business. 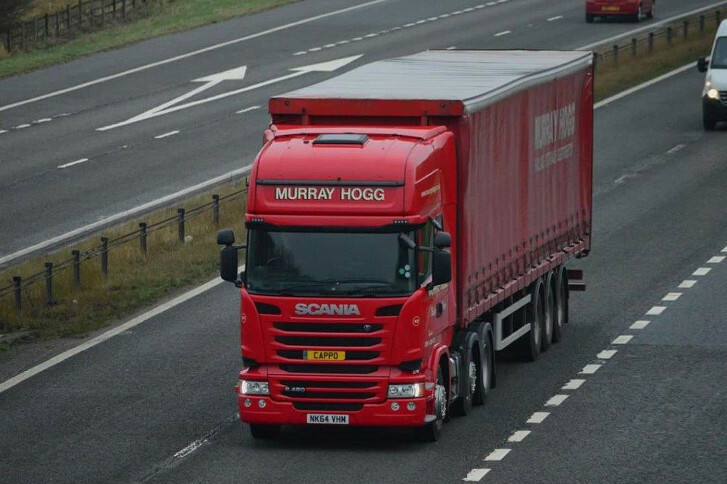 To read the full story of how Murray Hogg Haulage came about, see below. 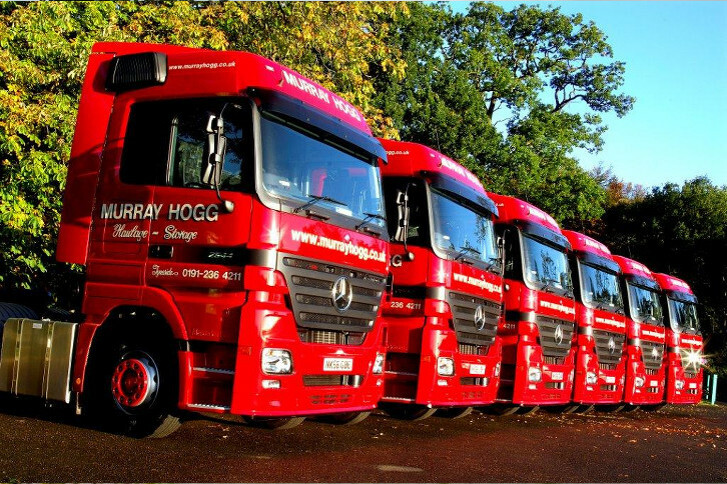 Murray Hogg Haulage has a rich and long history in transport. Above are some examples of our past fleet. 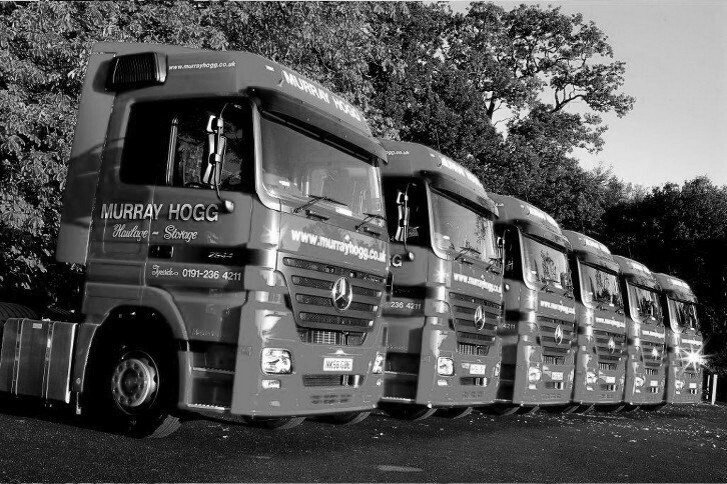 What would one day become Murray Hogg Ltd. began its operations on 1st April 1928. The business was founded by 22 year old Murray Hogg from Cumberland; he was a young man who had until then worked on farms, and in the timber business, working for relatives. The reason for Murray’s move to Newcastle was his wife Jane, known to all as Jenny. Her parents youngest child, Jenny had moved to Cumberland with her parents when they had retired; however, the country life did not suit them and they moved back to Newcastle. Murray, at first was unable to find suitable employment in Newcastle, followed them a little later. It was now that Murray bought his first vehicle, a Chevrolet, from a Jesmond haulier for which he paid £90. 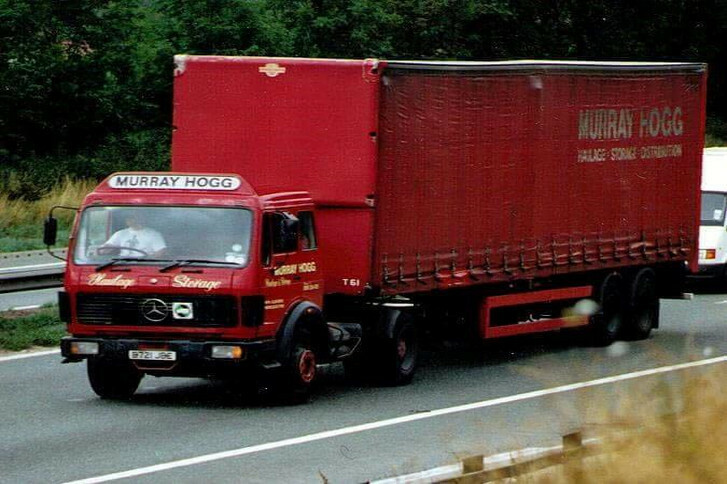 It was a brave move, since although Murray owned a motorcycle he was unable to drive a lorry! Quickly mastering the problem of how to drive his purchase Murray’s small transport business prospered as he bought and sold sand, gravel and coal. The investment was a good one, despite the views of the LNER. By the outbreak of the Second World War in 1939 the business had six vehicles on the road and seven employees. Until 1935 the firm had been operating from rented premises in Bowsden Terrace, South Gosforth but had then moved to new premises in Fawdon. A garage was built there to house four vehicles. At Fawdon the Hogg family became the hub of the small village, starting a taxis business there in 1937, which amongst other things had the contract for transferring cash from both the Midland bank and from Martins (now Barclays) – there was no Securicor in those days. In 1943 the Hogg family also bought the village shop, which Jenny ran, and the petrol filling station. By then the family was growing, with two sons and a daughter. Murray was born in 1934, Jim the following year and Nancy in 1940; a third son Colin, arrived in 1944. All three sons would eventually join their father in the family business. Murray missed serving in the war, having lost an index finger in an accident at a timber mill several years previously; however, he still did his bit, carrying out duties as a special constable throughout the war. At the outbreak of war in 1939 two of Murray Hogg’s Bedford lorries had been commandeered for the war effort, but they were returned to him to carry out war work. Throughout the war the firm was involved in airfield construction for the War Department as well as being employed by the LNER to carry food from goods stations. Until the outbreak of war the fleet had been added to with a new vehicle acquired every year. But between 1939 and 1945 no vehicles were released to civilians. After the war however, Murray was issued with three new lorries: a Bedford, a Morris and a Commer: Murray swapped the latter two for Bedford’s as soon as he could, that being his favourite make of truck at the time. Murray’s first customer had been Carmichael & Harwood, a firm of jobbing builders located in the next yard to where the first vehicle was bought. Clark Taylor & Co. was another early client. The first big customer however, was the building firm of Cussins. Unhappily the contract was lost for a while because the vehicles were being used on site clearance: as no excavating equipment was available a chain was attached to the lorry to pull up tree roots. Murray was so concerned about the damage which might be done to the vehicles he took them off the contract. Other early customers included local councils, Gosforth Urban District Council, Newcastle Corporation and Northumberland County Council. The firm would still be providing services to some of its earliest customers in to the 21st century, clients such as Winthrop pharmaceutical laboratories, Scott Turner, Tyneside Tin printers – subsequently Sanofi Synthelabo – and Thomas Hedley which later became part of Proctor & Gamble. By the 21st century long distance haulage would be a major element of business. The firm’s first long distance job however, was carried out in 1942 for a lady from Gosforth whose daughter, family and furniture was in Liverpool. The task was to collect the daughter’s furniture and take it to Gosforth for safety. The bombing in Liverpool was so bad however, that the lorry had to wait for two days to get into Liverpool before the driver could enter the city to collect his load. 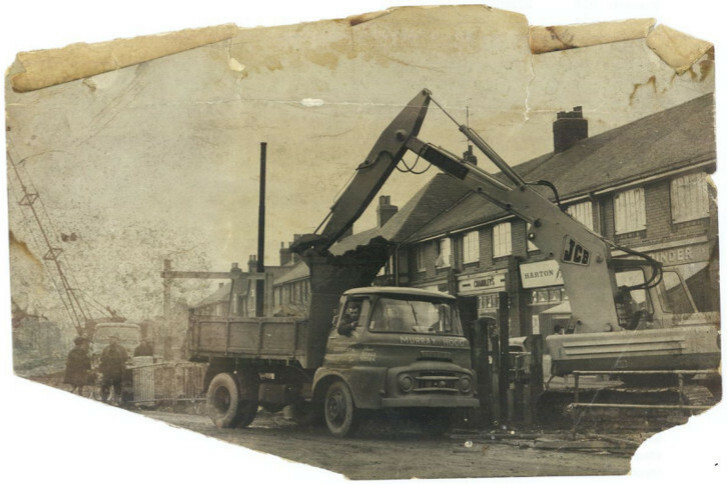 By 1951 the premises at Fawdon had become too small and the premises at South Gosforth, which had been rented, were now bought and Bowsden Terrace became the hub of the whole business. Murray joined his father in 1951; shortly afterwards however, he had to do National Service which he spent in the RAF, he had wanted to be selected as aircrew but was unable to do so because of colour blindness; instead of spending his time in the air young Murray was placed in the RAF’s motor section and spent two years in Iraq protecting oil pipelines and taking convoys through the desert. 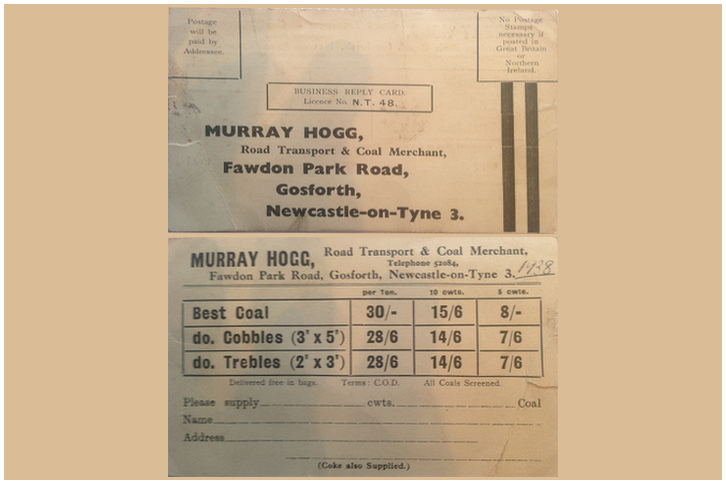 Murray returned to Newcastle in 1954 and, now aged 20 began the process of building up the business at a time when his father was starting to look towards retirement. By the time Murray returned from National Service the firm had six vehicles on the road and he began to press for building up long distance delivery work, a proposal which came to fruition in 1955. The following year Jim returned from Malaysia where he had been sent to serve out his period of National Service and now joined the firm as a driver. Third son, Colin joined the firm in 1960 after a period working for a commercial firm Buists as a mechanic. The three brothers, Murray, Jim and Colin formed a partnership in 1967. 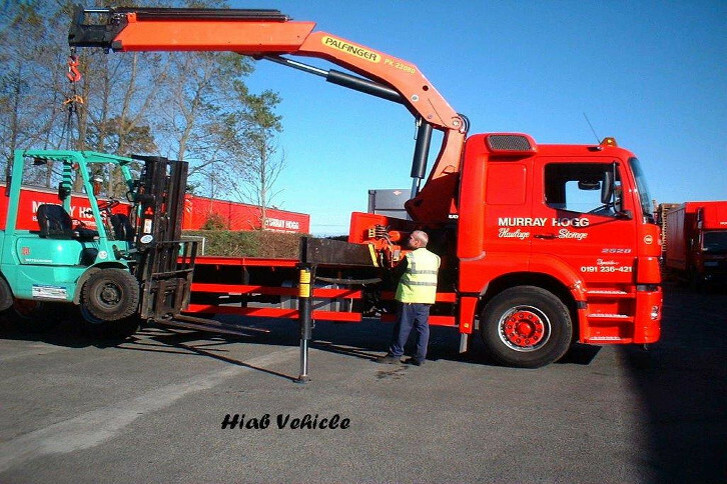 Murray took on the role of Managing Director and oversaw all aspects of the business; Jim looked after warehousing whilst Colin became the fleet engineer, taking charge of vehicle maintenance. By that time Murray’s wife, Moira had already been working for the firm for ten years, looking after the company accounts: she became Company Secretary following Jenny’s death in 1984. However, until the firm had moved to a new site at North Gosforth Moira had to work from home since the Bowsden Terrace garage didn’t have a ladies toilet. 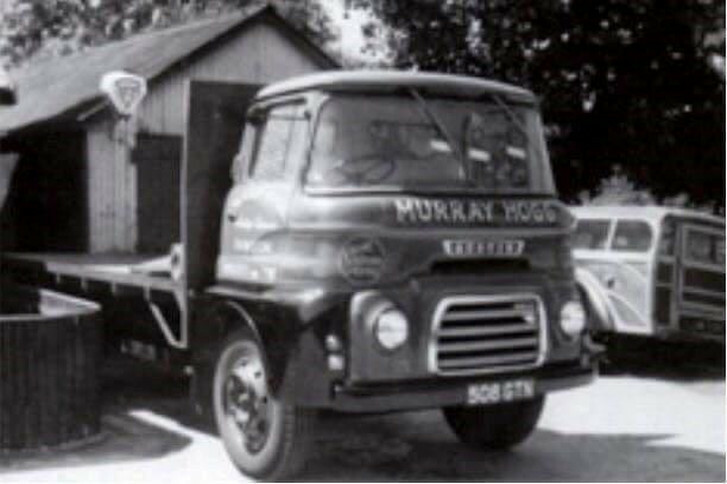 In these years Murray Hogg did everything he could to expand the business; when driving a lorry he would always wear a shirt and a tie under his work clothes making it possible for him to go into offices where he was delivering in order to make new contacts and get new business. That tenacity and enterprise worked; the business did grow. But the premises at Bowsden Terrace could only house eight vehicles and so in 1971 a new depot was built at Sandy Lane, North Gosforth; this gave more scope for expansion. It was able to house the ever growing fleet whilst also allowing for diversification into warehousing. Company founder, Murray Hogg senior, died in 1972 at the age of 66; happily he lived to see the new depot open, having already seen the business he founded grow tenfold since he had bought his first vehicle in 1928. 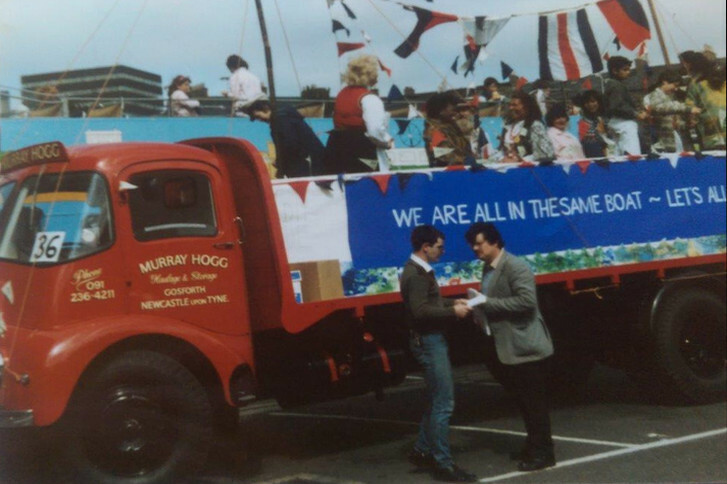 The firm had until then continued to operate as a partnership, but in 1974, acting on legal advice; a limited company was formed, though at the time Murray Hogg Ltd. was used only for the warehousing arm of the business – a situation which would persist until 1995. At North Gosforth a further warehouse was built, and the land adjoining it was bought in 1976. In 1984 the neighbouring Rowntree Mackintosh site came up for sale, and that too was bought by the company. The business now occupied a site of some 10 acres in a prime location between the A1 and the A19. 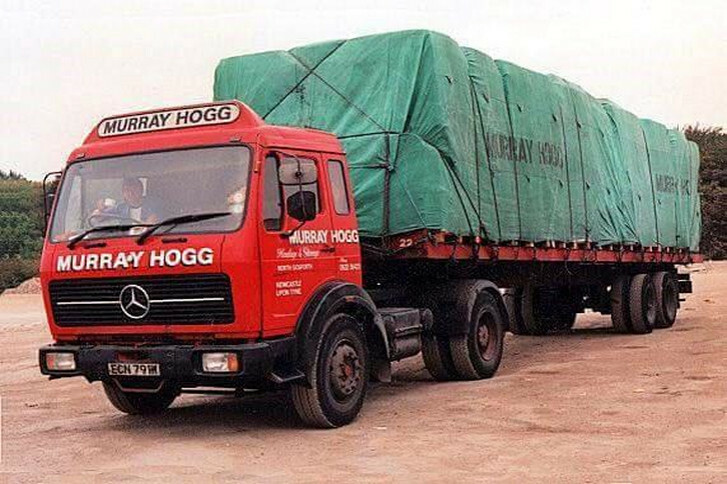 The increasingly large fleet of Murray Hogg lorries became a familiar sight in the North East. In the early days tipper lorries had been used but by 1973, due to the changing nature of work, tippers were no longer needed. The advent of the articulated vehicle made the fleet a lot more flexible, since any ‘tractor unit’ could be used to pull any trailer. The first articulated vehicle had been bought in 1973 and was driven by Jeff Hays, someone who would still be driving for the company into the 21st century. Until then the firm’s fleet had been mainly made up of Leyland lorries but due to superior performance and the greater availability of spare parts a decision was taken to switch to more reliable Mercedes Benz. By the 1990s the company would be almost all Mercedes – and so many had been bought over the years that Murray was presented with an award at the Savoy Hotel in London in 1995 by Mercedes for being one of its best customers. In 1986 the company diversified further when North East Vehicle Movements, a car transportation business, was acquired. The name was changed to Vehicle Movements (NE) Ltd. and began with three vehicles; today it runs 23. 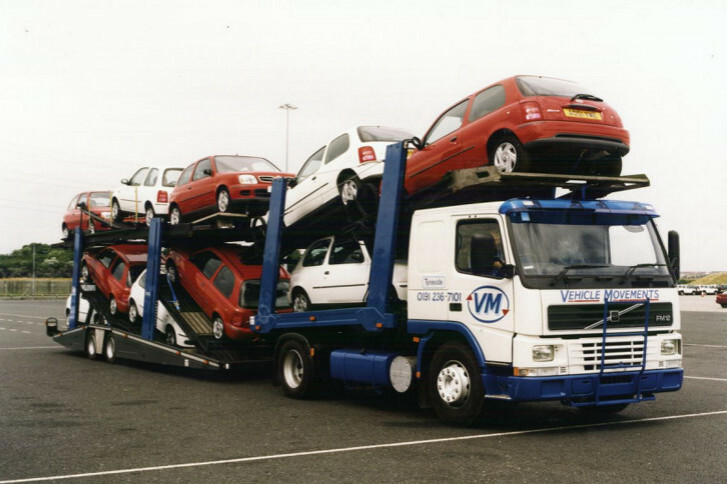 Though the company continues to operate a large number of Mercedes vehicles, by the end of the century it also had introduced Volvos, a make of vehicle more suited to the car transporter trailer used in the firm’s Vehicle Movements operation, Scania’s too were introduced to enable comparison to be made. But not everything was a success: for a short time, beginning in 1990, the firm also sold fuel, running two tankers, but this part of the business was sold in 1993. As the business grew the third generation of the family joined the company: Jim's son, Murray, began working in the traffic office in 1981. In 1982 Colin Junior joined his father in running the workshop and his brother David, arrived in 1987 and also worked in the maintenance section before moving to look after warehousing in 1997 on Jim Hogg’s retirement. Colin Hogg’s youngest son, Paul, joined the firm in 1991, working mainly in the Vehicle Movements side of the business. 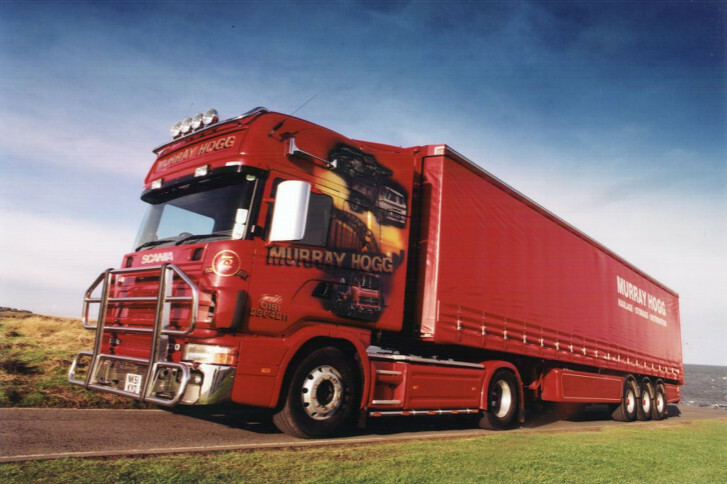 Murray Hogg and his wife Moira retired in 1998, though they continued to take an active interest in the business, being kept up to date by their daughter Alyson. Alyson, Murray and Moira’s eldest daughter had joined the business in 1995 and took over the role of company accountant when Moira retired in 1998. In 1999 all the founder’s grandchildren were made directors of the two companies: Murray Hogg Ltd and Vehicle Movements NE Ltd.
Alyson is in charge of accounts, Murray is Managing Director and takes care of traffic, Colin is fleet engineer in charge of the workshops, David manages warehousing and Paul takes care of car transportation. By the opening years of the 21st century the company had 114 staff and was running a fleet of around 100 vehicles ranging from small vans to 44 tonne tractor units. The present generation of directors are closely involved with everything and continue to look for new opportunities. 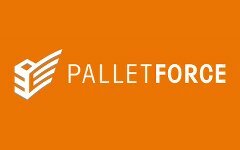 In early 2002 the business adapted to changes in the transport industry by joining an overnight pallet network providing an even more efficient and flexible service. 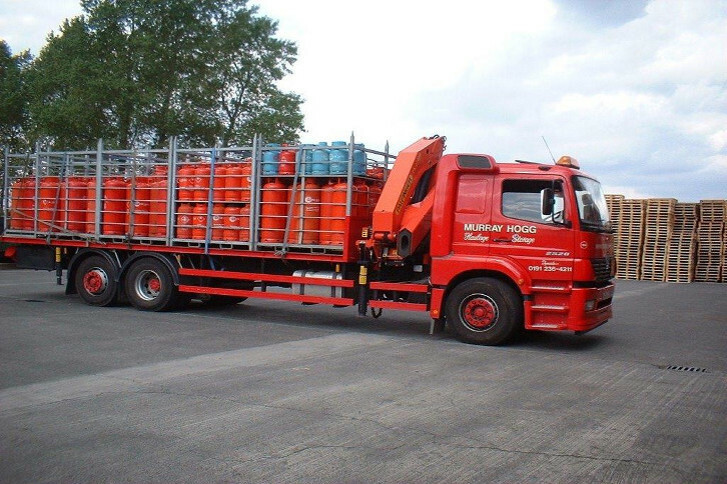 Seven vehicles and 15 trailers would be based in Yorkshire to service a major radiator and boiler manufacturer. 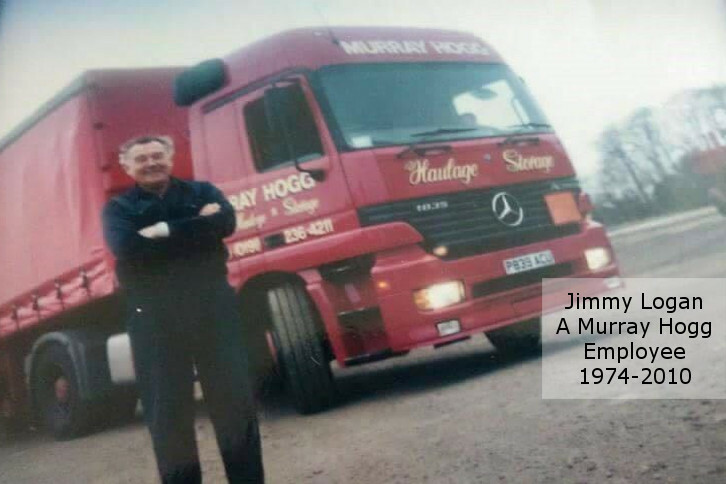 Sadly Jim Hogg passed away in 2002, having retired in 1997, however, later that year his grandson Christopher Hogg, Murray junior's son, joined the company and began learning the business in 2002. Without a doubt, part of the secret of Murray Hogg’s success lies in its ability to move with the times. The family which over 9 decades ago relied on one vehicle for its livelihood is today the proprietor of a large, modern haulage and car transportation fleet, extensive warehousing and property portfolio. By 2004 the company had out grown the current workshop facilities and decided to build a new 7 bay facility which opened later that year and boasted brake rollers, prefabricated pits to accommodate the low car transporters and mobile hoists. Soon after this they attracted some third party maintenance agreements with Gregg's the Bakers to maintain their fleet of vehicles. During 2008 the uk economy had weakened, savings in all areas were made and proudly no jobs were lost, However the company continued to invest in new trucks knowing this would pay dividends following the recession. 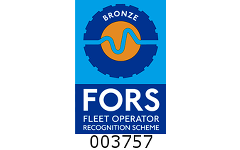 During this time, in 2010 the company was invited to join the well-respected Transport Association (TA) this would bring many trading opportunities as well as many friendships with similar family run businesses. Colin Hogg Jnr took on the project of restoring the companies Vintage Austin K2 Truck back in 2011, this vehicle had previously been fully restored by Colin Hogg Snr 30 years previous. In 2012 the companies property portfolio would be added to with the purchase of the neighbouring BP Gas Depot some 3 acres of land and buildings allowing for greater expansion and storage. 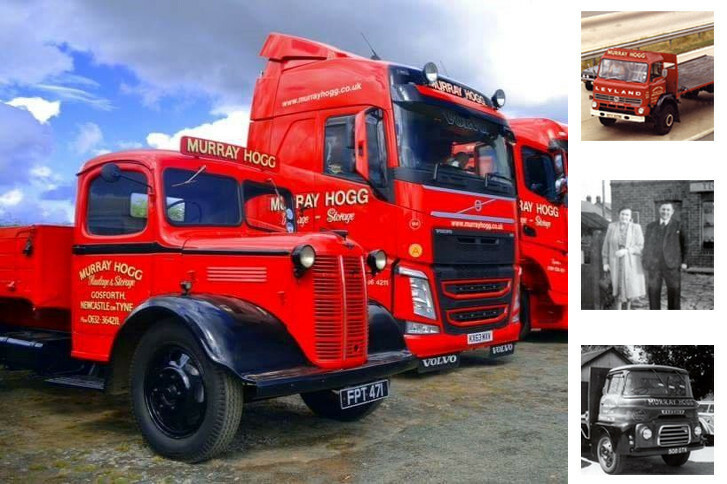 Murray Hogg Haulage is very proud of its past and is looking forward to what will hopefully be another 90 years of Murray Hogg & Vehicle Movement vehicles on the roads of the UK.